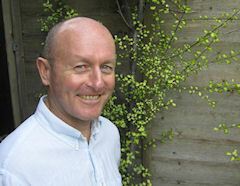 Redhill & Reigate Osteopathy can be found conveniently close to Redhill town centre. Heading away from the centre onto the A23 Brighton Road towards Horley and Gatwick pass under the railway bridge and take the first right by The Garlands pub. Then turn immediately left into Garlands Road and you are there. The clinic is easily accessible from Dorking, Reigate, Crawley, Horley, Gatwick, East Grinstead, Godstone, Purley and Croydon. Redhill has excellent public transport, and the railway station is less then 10 minutes walk from the clinic. There is car parking available for clients, immediately outside the clinic. 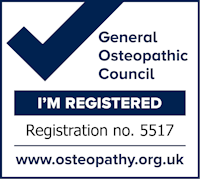 The General Osteopathic Council (GOSc) is the Statutory Regulatory Body that governs osteopathic practice.